As the leader of student support at BASIS Independent Fremont, I always get excited about and look forward to the grading period award ceremonies. The ceremonies are an incredible display of excitement and support. I love that BASIS Independent schools take the time to recognize student achievement throughout the school year, instead of only at one big ceremony at the end of the year. I also love that BASIS Independent Fremont recognizes citizenship and improvement in addition to academic achievement. At the grading period 2 Award Ceremony, we gave out three types of awards: the 90s club award, the most improved award, and the STINGER of the grading period award. I was so pleased to get to recognize so many 90s club students from the past grading period. It is impressive to see the hard work and dedication that our students commit to their academics, even at young ages! During the grading period 1 Award Ceremony, I encouraged the students to not compete with the person next to them, but to only worry about competing with themselves. I told them, “become the best YOU that YOU can be.” I was so happy to see so many students take this message to heart, and for that very reason we have the most improved award. Some of the most improved award recipients were already 90s Club students in grading period 1 but worked even harder in grading period 2 and showed a significant jump in their overall average. Other most improved students struggled during the first grading period but made a committed effort to improve during the second grading period by working on organizational skills and going to office hours; I was overjoyed to welcome these students to the 90s club as well. 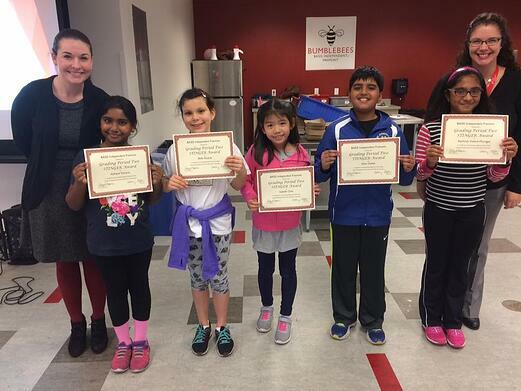 Unique to BASIS Independent Fremont, we award two students per grade level the grading period STINGER Award. 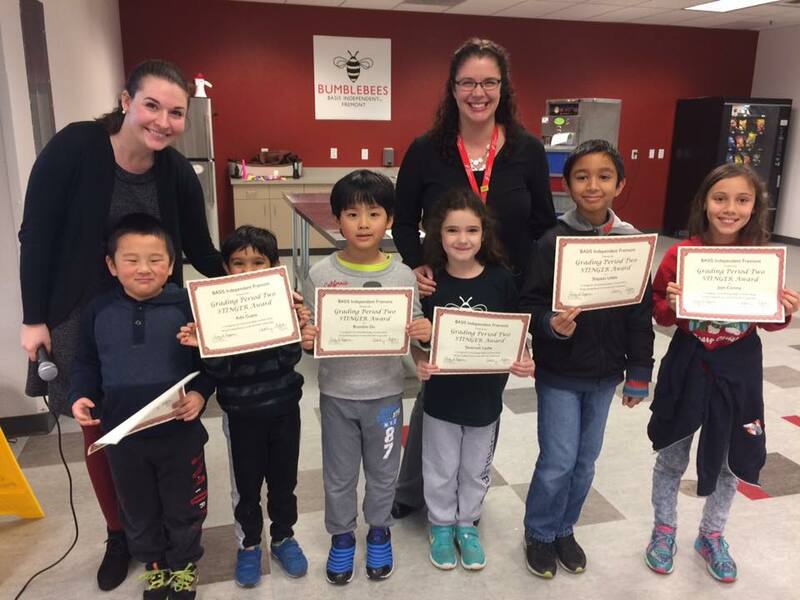 These are students who consistently display our school values of Safe, Trustworthy, Industrious, Noble, Grateful, Empathetic, and Respectful, and are model citizens in our school community. However, all of the numbers, certificates, and awards aside, my favorite part of the award ceremonies is the overwhelming sense of community. The students eagerly cheer on their classmates by clapping, and giving out high fives and pats on the back. The support is not limited within grade levels or friend groups. Every student is happy for every other student. Every teacher is proud of every student. It is a joyful learning community that is rare to find, and I am so blessed to be a part of it.